Google is the largest storehouse of knowledge globally with its huge databases of searches, documents, books and much more. It is not a repository of information , but it is perhaps the only organization which has an accurate assimilation of needs and wants of global population . 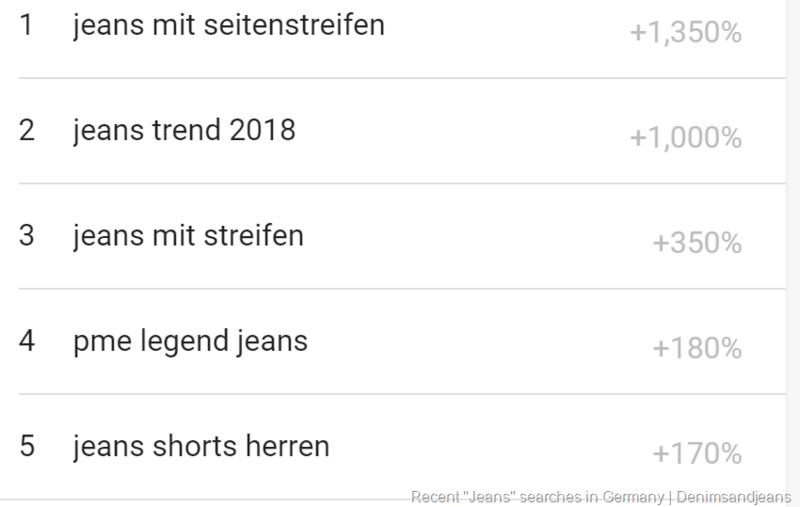 Almost everyone using internet searches Google and leave their mark of what they are looking for , their needs, desires etc. Google stores all this information and then its very easy for it retrieve the same in the format required. Eg , Google would be able to give answers to questions like – People of which cities are looking for different varieties of pizzas, from where people are looking to travel to space, where can we find people who are looking most for higher education etc etc . 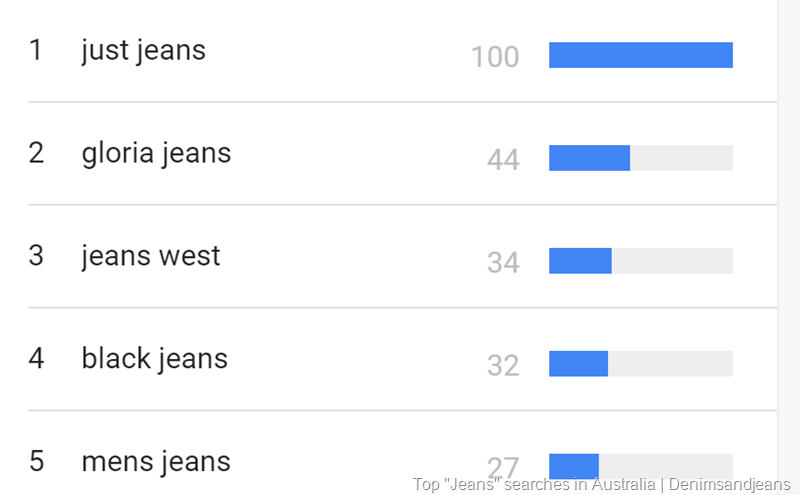 If we apply the same to our industry, we can also find how are consumers looking for jeans globally. 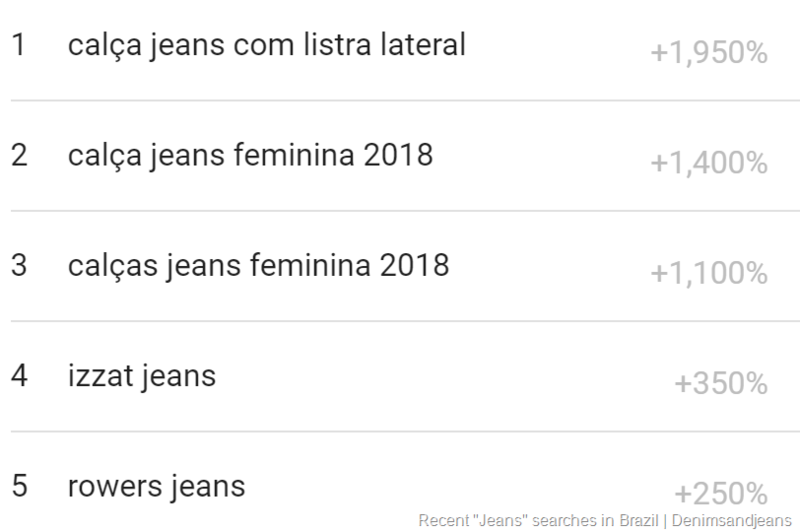 Which are the cities where jeans search is the highest or what kind of jeans they are searching for . 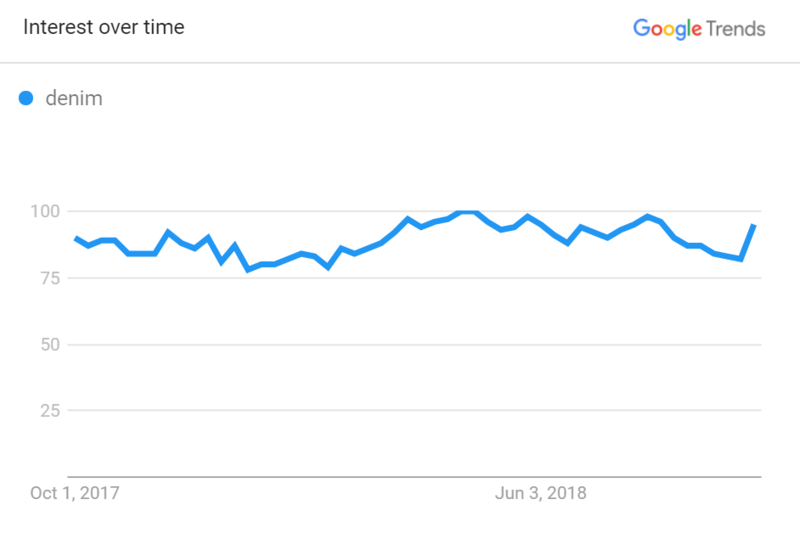 Lets dive into the Google trends to look for some answers. 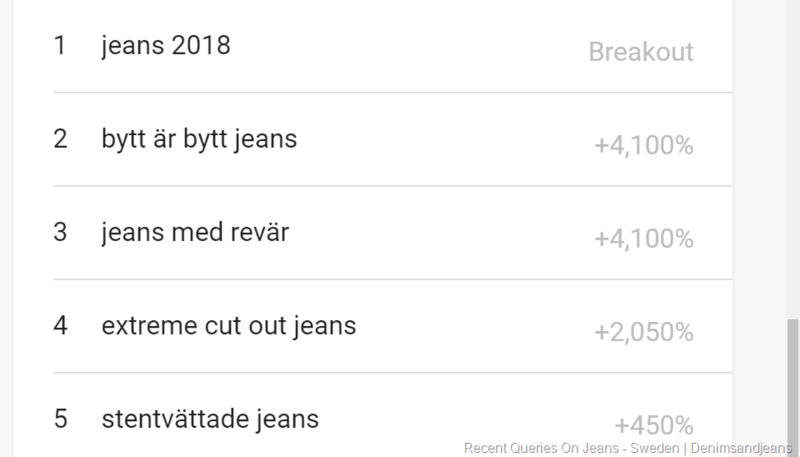 As we can see from above pictures, global search for keyword “Denim” and “Denim” remains more or less the same with little fluctuations. 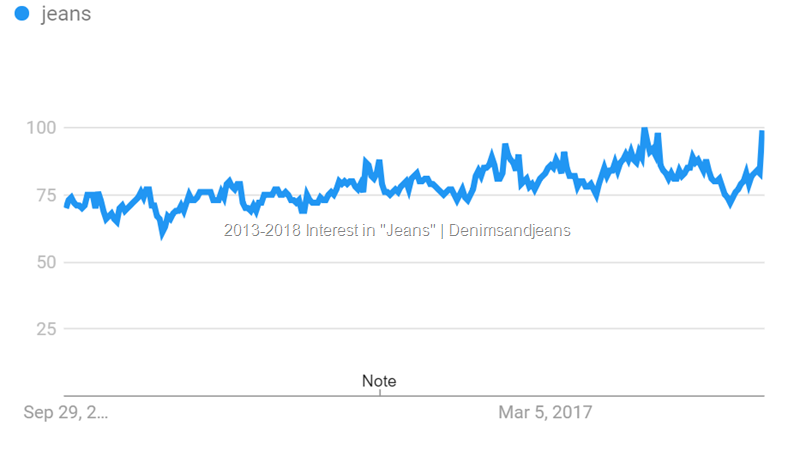 So we can safely predict that consumer interest in denim . 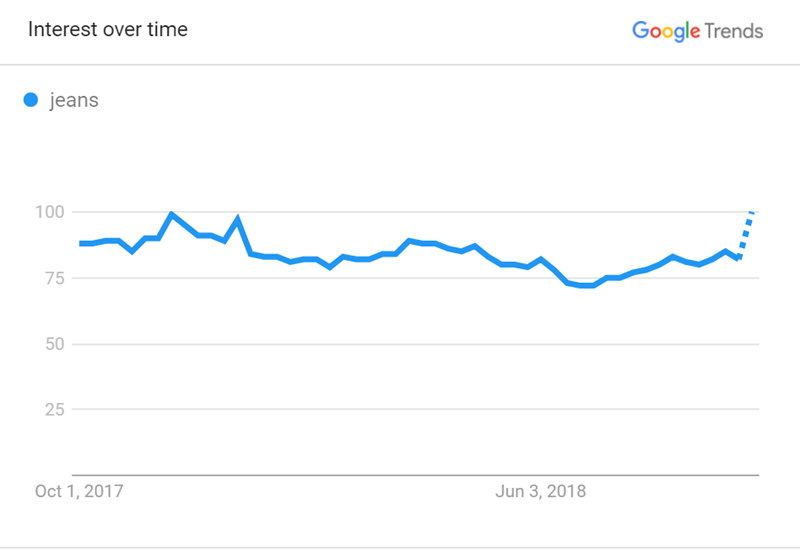 However, when we look at a 5 year period from September 2013,, we find that the interest had spiked almost 30% with the current level being considered as 100. All these figures are relative terms and not absolute . 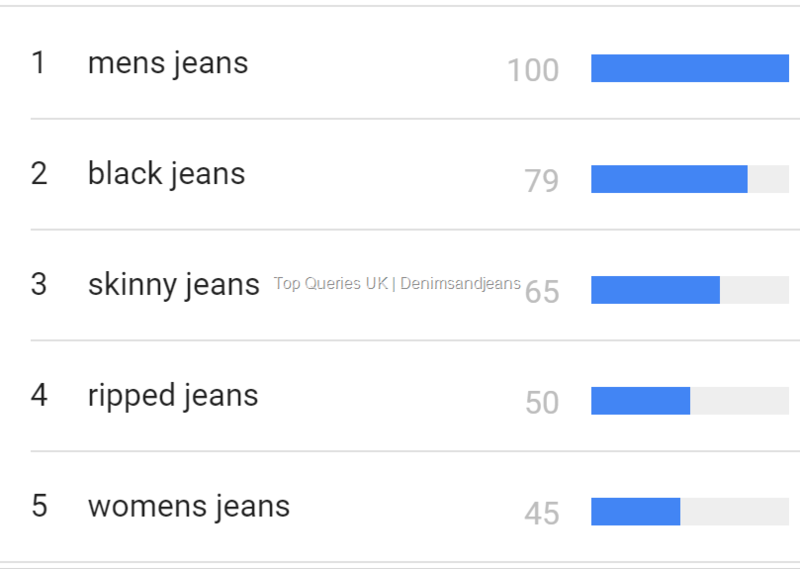 UK searches for the below mentioned keywords which are considered as Top Keywords people use to search for denim. 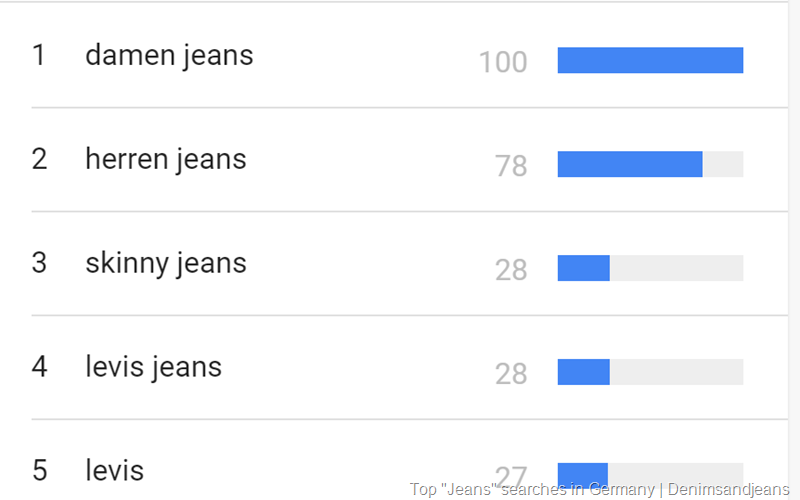 But when we look at the recent queries related to “jeans” which are getting popular , we find the following results for UK. These queries give good insight into what the consumers are looking for . Are they looking for “One size fits all jeans” ? A very pertinent question for retailers, brands and others in the supply chain to consider. 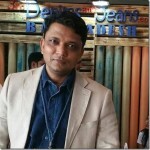 It is a good indication of consumer preferences and their likes . 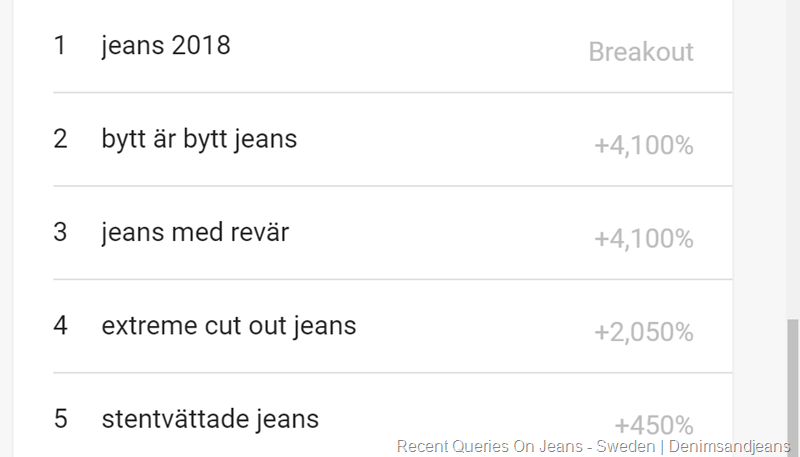 Similarly we have a look at the TOP queries related to Jeans in Sweden , Brazil, Australia and Germany and find that population of each country is looking at jeans in its own unique way. 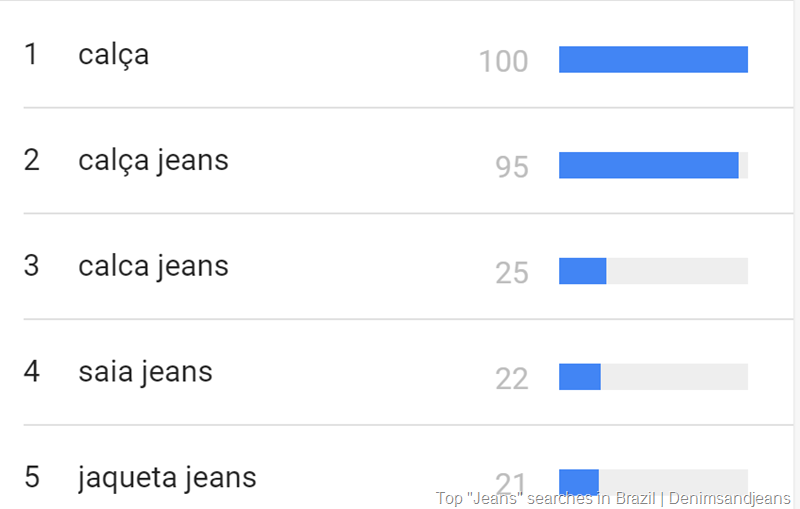 UK, Sweden , Australia , Brazil and Germany are the countries where “jeans” as a keyword is searched most relatively . When we say relatively, it means within their total searches. It Does Not mean that these are the largest consumers of jeans or that other countries love jeans any less. 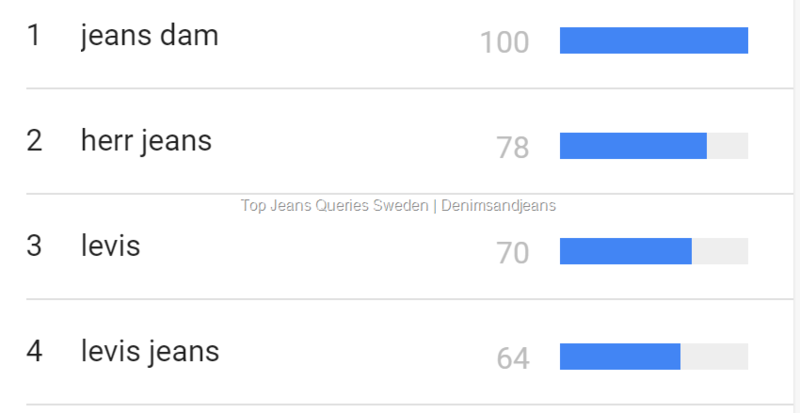 The search queries are different over different periods – 1 year and recent. 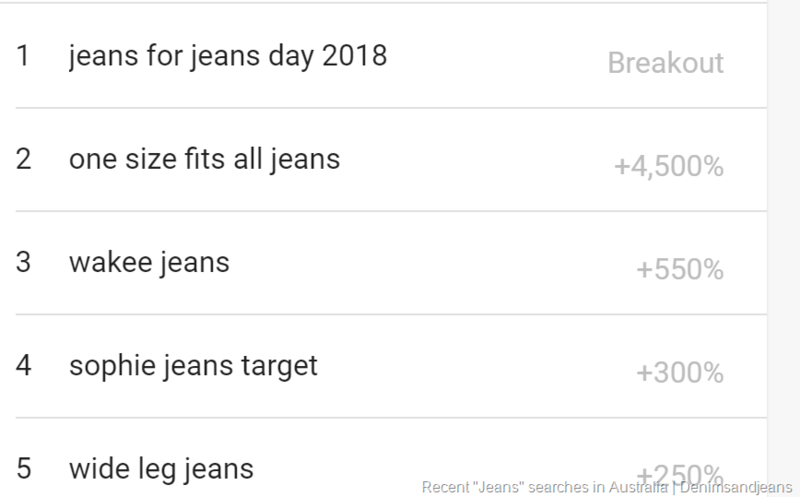 The recent searches show the latest preferences of people on what they are searching related to jeans. Each country has their own search preference. 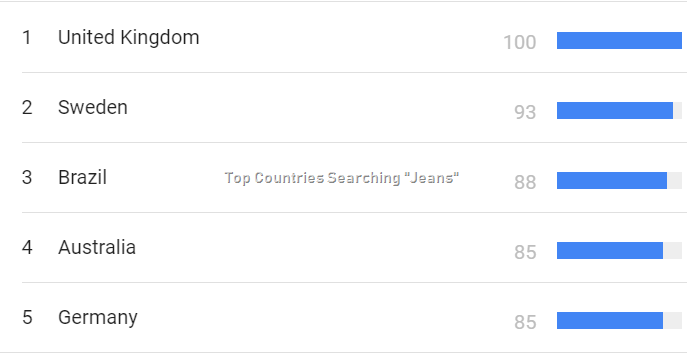 This can give retailers and brands direction on what each country is looking for. 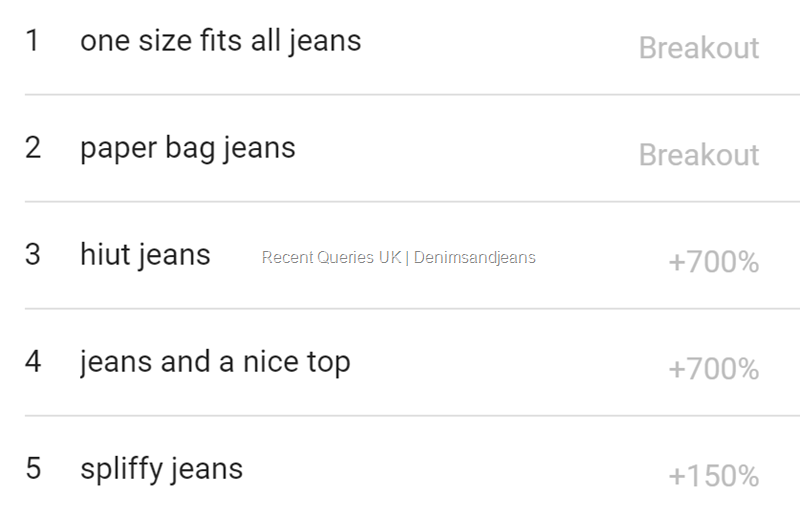 All these searches are indicative and as we change the search terms, the results will change. However, we can get a good broad idea from the above. We will continue this series with a few more indepth analysis !